A year ago, I promised not to test Gnome 3 ever again, but with the recently released openSUSE 12.2, I was forced to break that promise. 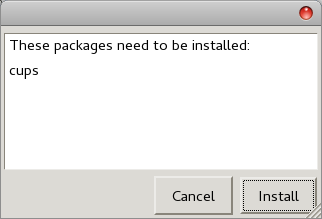 Because, according to SUSE wikis, you cannot install Cinnamon without the Gnome 3 framework. Hence, my oathbreaking and tribulation. Anyhow, openSUSE 12.1 did not really impress me last winter. It seemed to have been released prematurely, important stuff like codecs and graphics drivers were missing from the repository, and overall packaging was not exciting. This was a far cry from pretty much every previous SUSE release. Well, so it's a fluke then? Is it? I downloaded the live Gnome edition from the official site. I was not able to boot from live USB, so I had to resort to the olden method of using a CD/DVD player, would you imagine. Then, after a bit of mechanical seesawing, I was logged into a Gnome 3.4 session. There's no other way to put it. And please, do not compare it to KDE4. 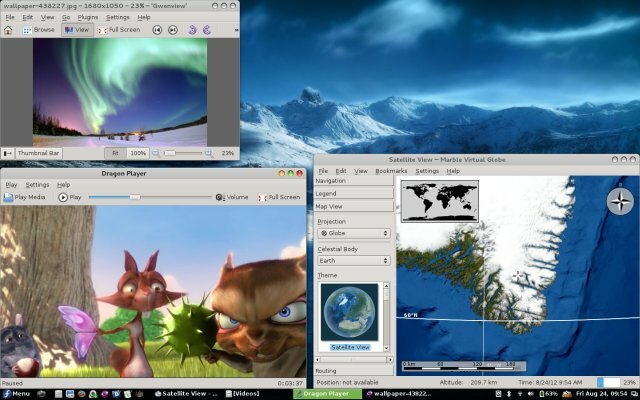 When KDE4 came out, its biggest problem was stability not usability. Over time, the issues had mostly been polished, depending on a large degree on the particular distro whims rather than the underlying core technology. On the other hand, the self-professed philosophy of idiocy that guides Gnome 3 remains completely unchanged. The desktop is empty, bland, boring. The Activity panel is so difficult to access and use. The contrast and sharpness of icons and fonts is appalling. The GUI dynamics are equivalent to slamming a door on your gonads. All in all, it remains probably the least efficient, least user-friendly framework ever developed, being even worse than Windows 8, IceWM and Scrotwm combined. Need a proof? Well, you click on the user name in the right corner and you get a short menu, which now displays the Power off option. 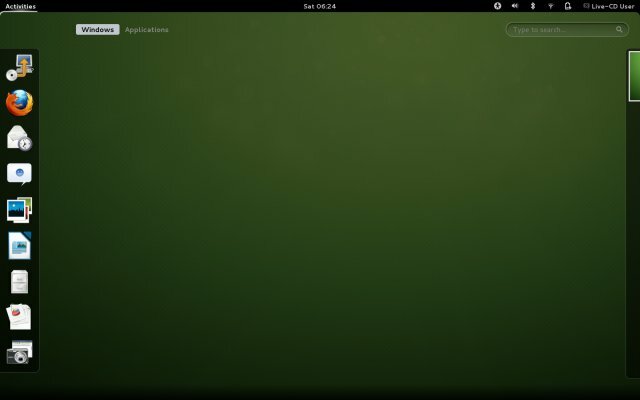 It is not yet an official Gnome addition, it's a SUSE tweak, but it shows that the idea of not exposing the power on/off button to the users was not accepted well. And indeed, in version 3.5 of Gnome, you will get that button back. Gnome 3 developers retracting one of their self-deluded decisions. Can you grasp the magnitude of how bad the original idea was, to be reverted? Indeed, it proves that I am always right, absolutely, and a whole string of concepts seen and shown in the past justifies that - Conficker, Gnome Panda change, Gnome 3 button, Windows 8 Start button, and there will be many more. Stay tuned. Now, back to the review. 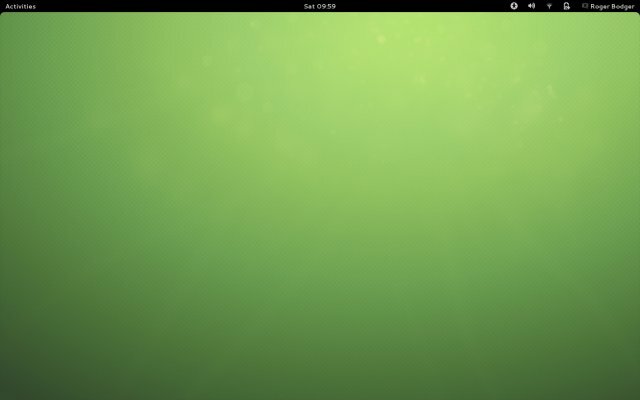 Time to explore the openSUSE 12.2 live session. And we shall be ignoring Gnome 3, although it's fairly hard to ignore, given the slow response, the sluggishness, the horrible, horrible flow. 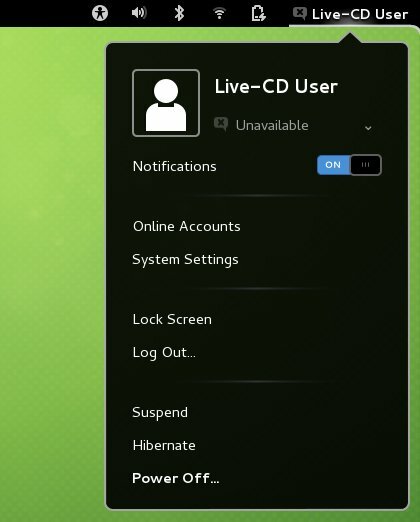 Overall, openSUSE 12.2 does not offer much booted from CD. 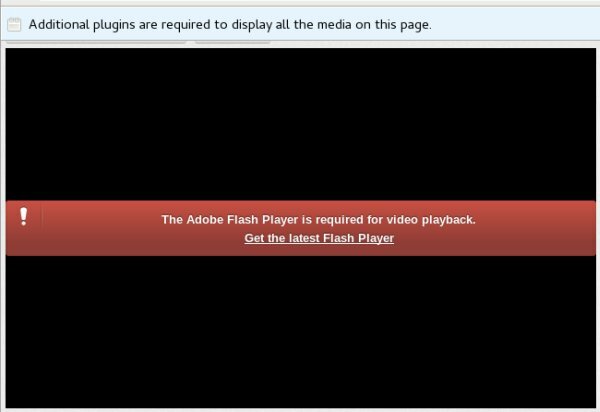 You will not be able to enjoy Flash or MP3 playback at this stage. Wireless, Samba sharing worked without any problems. Another thing that stands out is that some applications are using a dark theme, while others are using a light one. 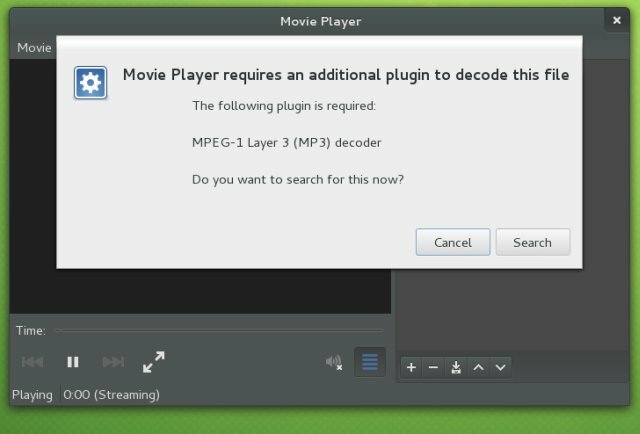 For example, Firefox comes with white, while the Gnome Movie Player sports its dark gray skin. I wonder why? But it does not look well. 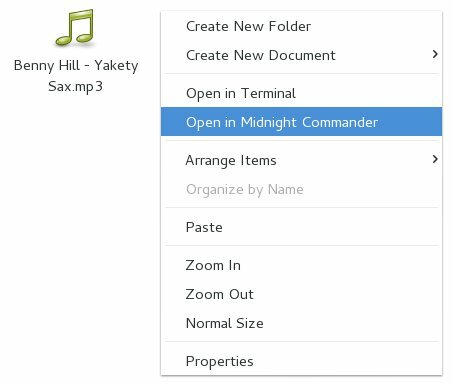 You will also notice that if you right-click in Nautilus, the context menu comes with its usual share of options, plus the ability to launch Midnight Commander. Why would anyone want to use this ncurses-powered file manager on Gnome 3, beats me. Its inclusion does not stand to any logic, beauty or anything else. As if it had been thumped there by accident or whim. 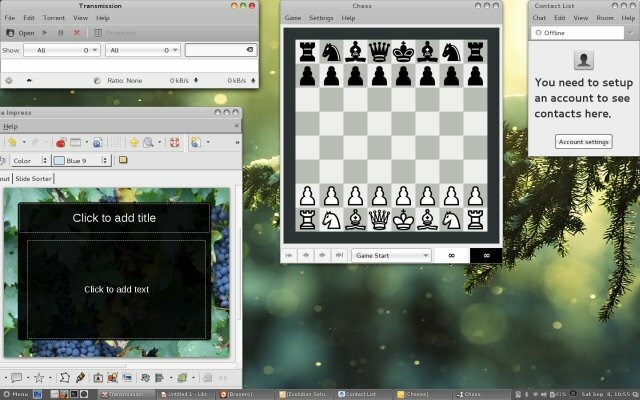 Speaking of Nautilus, if you ever decide to use Gnome 3 in the future, then you will come across version 3.6, which will remove most of the functionality you have today. You might be wondering why? Well, yet another sound business decision by the same people who decided Gnome 3 ought to look the way it does. Which means more crap. Just a side note. openSUSE still boasts the safest installer around, even though it feels somewhat boring when you compare it to nice slideshow-embellished Ubuntu and Mint equivalents. 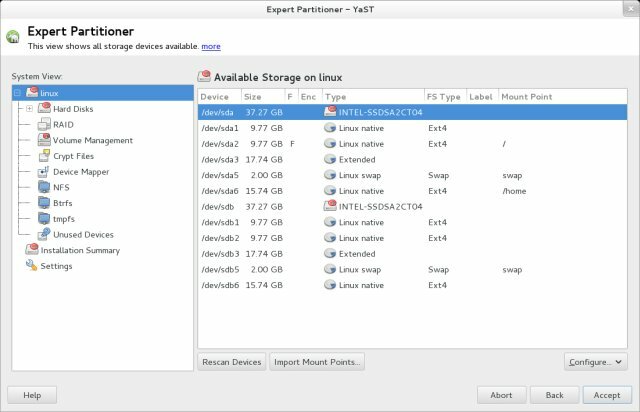 By default, the installer offered to reuse the same two partitions I normally reserve to the always changing fourth boot instance on my SSD-ed test box. Not bad at all. Smart. 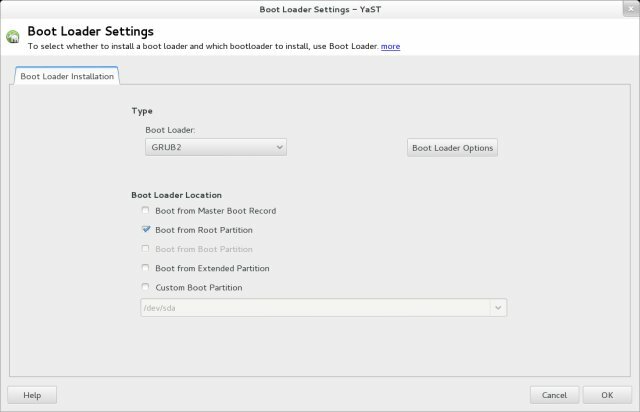 However, it suggested using the bigger one for root rather than home, but it's a relatively small omission in the broader scope of things, and how installers work, in particular. So I did change the order back, using /dev/sda2 as root and using /dev/sda6 as home, without formatting it. I chose not to play with BTRFS, as I was disappointed the last time. Finally, I altered the bootloader setup. Mantis lets you choose either GRUB or GRUB2, which is quite nice. After that, sit and wait. No fancy slideshows, nothing. Perhaps the full DVD versions offers more goodies, but in the 700MB CD edition, you get only a very rudimentary progress bar. Still, it completed without hassle. 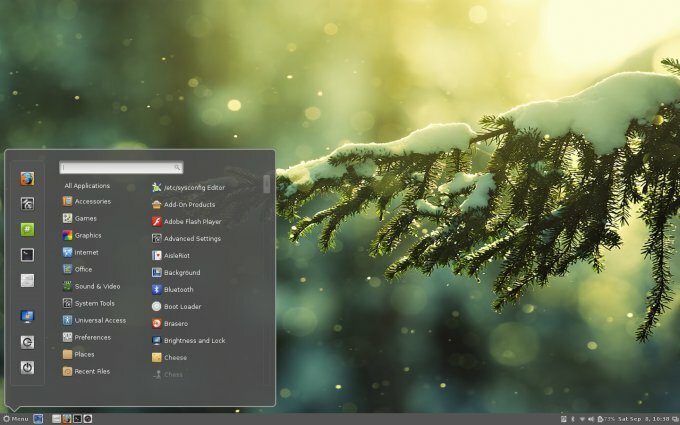 Soon, openSUSE 12.2 Mantis was installed along Ubuntu, Kubuntu and Linux Mint, with the first operating system being in charge of the bootloader. For your information, Mantis comes with kernel 3.4 and Gnome 3.4. That ought to satisfy the numerophiles, as they always complain how I never mention the exact major and minor numbers, as if they are really that important. I had to suffer the Gnome 3 desktop once again until I could manually configure the Cinnamon repository and install it. Once this step was completely, I could lean back and try to appreciate this distro. All right, so I did what I always do - I made small visual changes to make the distribution more presentable. 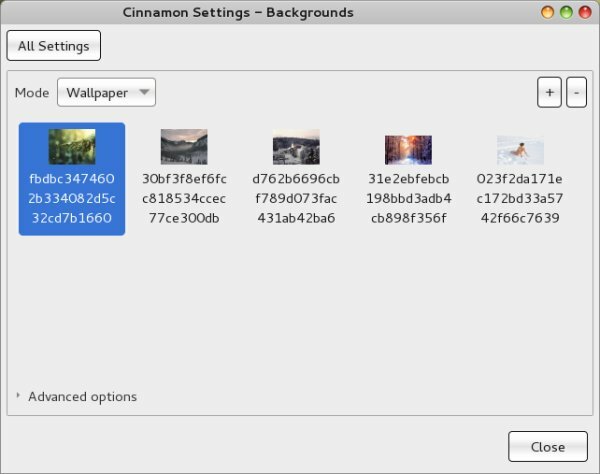 This also gives you a unique opportunity to compare how openSUSE handles Cinnamon compared to other distributions, like Mint or even Ubuntu or Fedora. 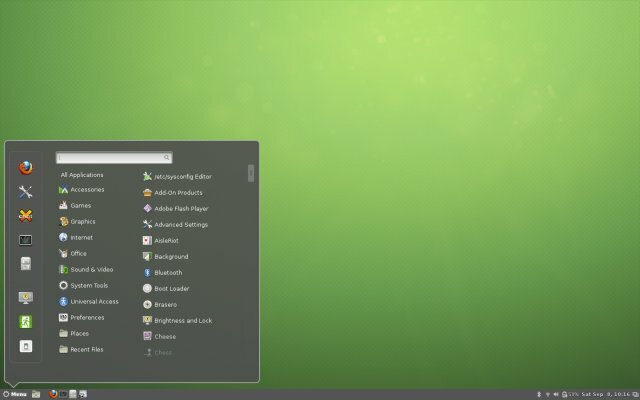 Cinnamon on openSUSE comes with a few extra applets and extensions, which is rather nice. 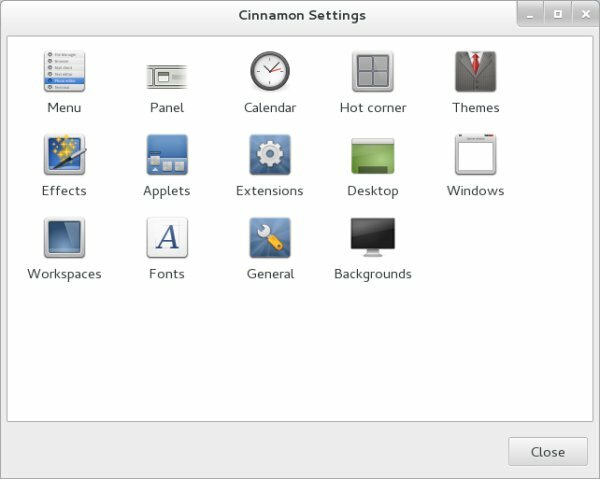 It also shows that Cinnamon is evolving from just a slap-on layer into a fully featured desktop manager that will eventually and successfully edge out the less capable Gnome 3 components. After a few minutes, the distro was truly ready for work. This time around, Flash worked, but MP3 playback did not. I was offered to search for codecs, and this operation failed. Similar to what happened the last autumn. Not good at all. Luckily, I was able to manually install the necessary plugins and enjoy music. But this is a serious regression. Oh, BTW, you must watch Jozin Z Bazin clip. You must! The default selection is relatively poor, whatever the 700MB CD storage could handle. You do have Firefox, LibreOffice, Transmission, Cheese, Empathy, and Evolution, but no serious graphics utility, not even a PDF program that I could spot. Some games, a few utilities, nothing serious or exciting. A very rudimentary collection that could fit into the image. This was another unexpected surprise, for the worse, that is. 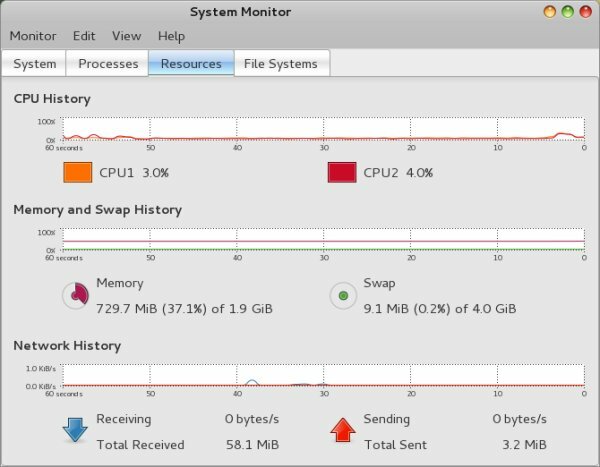 openSUSE ate some 730MB of memory, with high CPU activity overall, more than pretty much any other distribution on this particular box. The RAM figures are comparable to my machines with Nvidia cards. Moreover, for some reason, SUSE used both swap devices available on the machine, which is not a bad thing, but most would go for a single one, and it also committed a handful of pages yonder, which is even more surprising. I pretty much never see swap used at all. There were several rather annoying issues with the distro, which mostly feel like bad integration. Multimedia playback is one of them. Now, let's see several more. 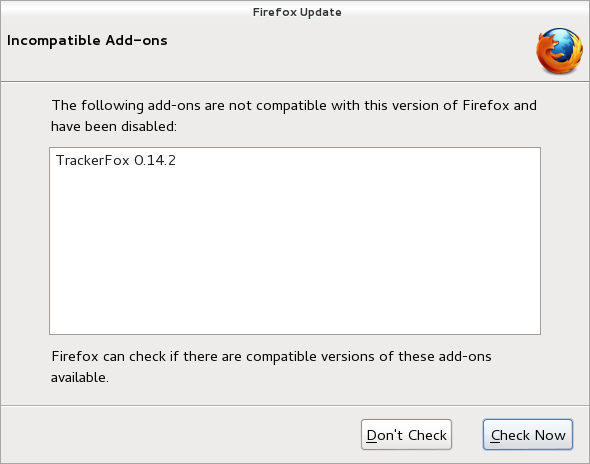 One of the add-ons installed in Firefox by default was incompatible after running a system wide update. This is a very ugly glitch, because repositories should bundle all relevant information together, rather than offer separate packages now and then. Failing to do this, the users will see ugly messages that definitely do not inspire confidence in the distro's QA or update cycle. By default, because of the meager collection available in the live CD version, you don't get to have the printing service installed by default, which is absolutely silly. Still, once you get it installed, there are two programs you can use to configure your printer. One goes through YaST and looks horrendously complicated. I simply failed to find my bearings. 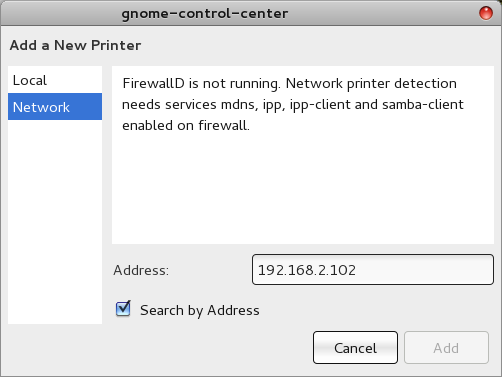 The other one is a classic Gnome 3 applet, which did not manage to find my Samba-shared network printers. We will discuss this problem soon in greater detail. 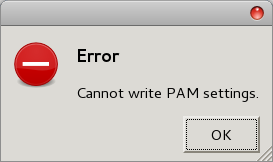 Another one that simply did not work - just threw a PAM error. If you look at the two or three screenshots above, you will notice a very bad theme styling overall. On one hand, you get Mac-like decorations and pure GTK+ elements colliding. But some, not all. This goes hand in hand with the dark and light themes that affect some programs and do not affect others. For example, Cheese windows decorations are black, which simply makes no sense. Once you apply a new theme, it changes, but then the button styling is ugly. You also end up with several font families. Now, you could blame me, because I installed a) Cinnamon b) additional non-standard themes, but then, this same integration works marvelously, even in a bleeding-edge distribution like Fedora. To say nothing of the spotless record on Ubuntu family systems. Unfortunately, statistically speaking, the lack of success in openSUSE 12.1 does not seem to have been a one-time fluke, but a beginning of a new and worrying trend. It appears there is a conservation of quality, an almost physical metric, in the world of Linux, because some distributions seem to be gaining, while others are regressing. openSUSE Mantis is in the second group. Let's ignore Gnome 3 for a while. Even so, openSUSE 12.2 gives you a fairly stock live session, a highly functional but boring installation, a post-install experience that is rift with problems and completely devoid of any excitement. There were too many problems, too many glitches, the overall packaging is quite shoddy. And if you do include Gnome 3, it becomes horrible. Luckily, you can skip Gnome 3 and focus on the rest. 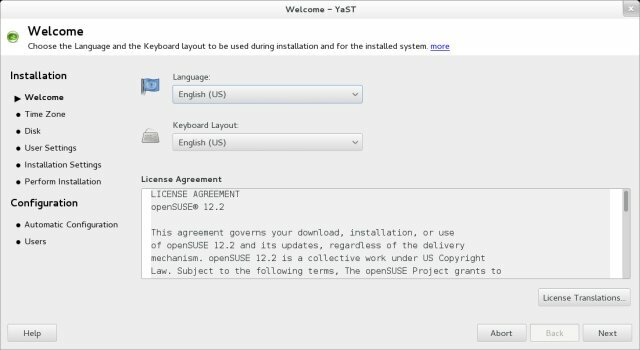 In today's world, openSUSE does not offer a viable alternative to most other distributions, like the Ubuntu family or even the more conservative RedHat family, in the form of sturdy conservative and yet fun CentOS or perhaps Scientific. The system suffers from some serious illness, and apathy seems to be the biggest one. C'mon. Everything used to be splendid until only two releases ago. What has changed since? I used to really love this distribution. Swear by it. openSUSE was my calibration tool for quality and steadfastness. Now, it's more Fedora than Fedora. All in all, this release gets maybe 5/10. The hope remains, still, for now. P.S. We will have another review coming soon.